The Los Angeles Lakers begin their three-game road trip against the Washington Wizards tonight, but all the chatter is about Kobe Bryant’s extension. While there will continue to be discussions about the amount and timing of the extension until Bryant returns to the court, Pau Gasol shared his personal thoughts at shootaround. Pau on Kobe: “I think it’s a good extension … he’s the face of the franchise.” Said he’s not sure how/if it affects his own situation. Since Lakers have wallets open…are u next, Pau? “I try not to make that assumption.” Acknowledged having to make financial sacrifice, tho. While some wanted Bryant to take a bigger pay cut, the Lakers will have about $22.2 million in cap room this upcoming summer. Along with having enough flexibility to sign another maximum-salary player, the Lakers could potentially free up another $6 million if they decide to use the Stretch provision on Steve Nash. With the Lakers looking to reload next summer, Gasol will need to take a significant pay cut. The four-time All-Star is in the last year of his contract that pays him $19 million. 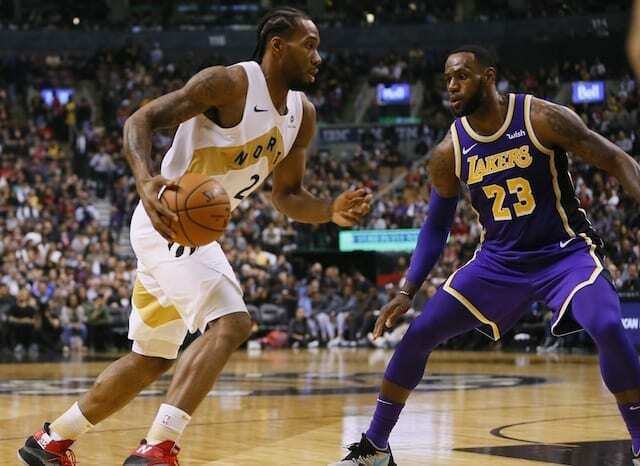 While he is starting to play much better, the 33-year-old will likely have to follow in the footsteps of Tim Duncan and Kevin Garnett and accept an offer in the $10 million range.